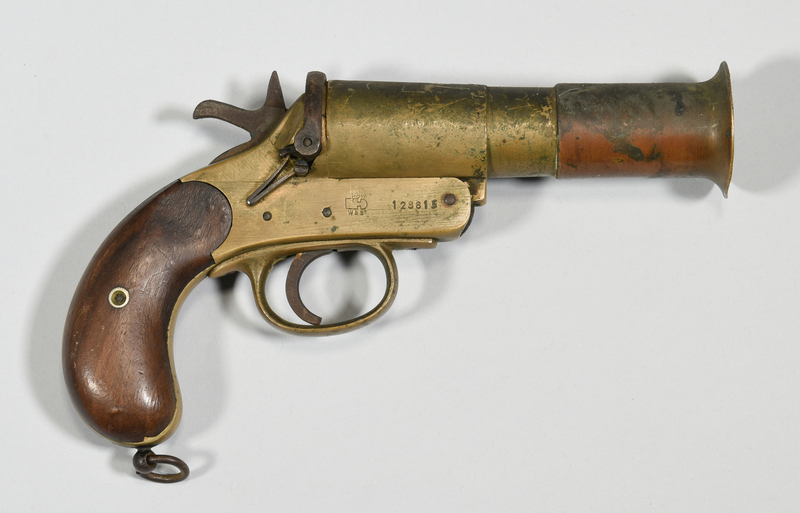 1st item: WWI Webley & Scott flare gun, serial number 128813. 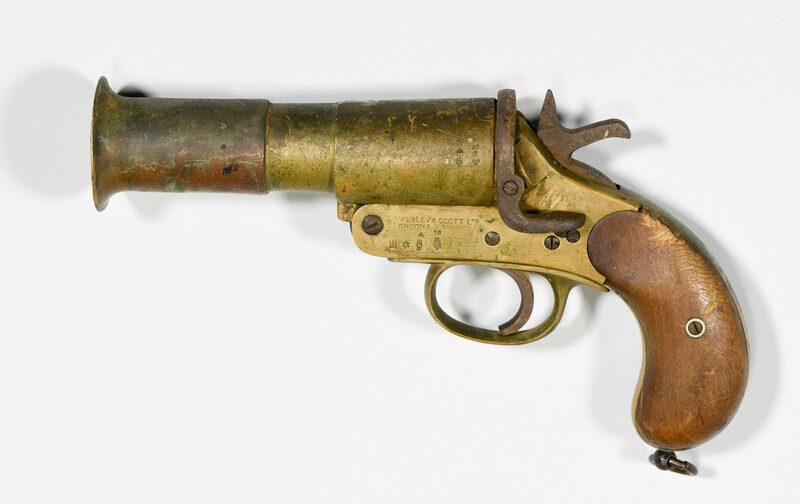 Wooden stocks, brass frame and barrel. 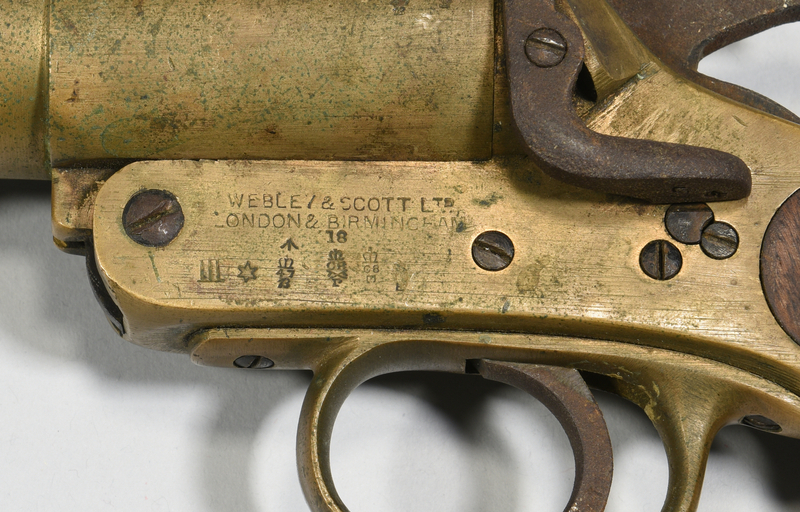 Left lock plate stamped WEBLEY & SCOTT LTD., LONDON & BIRMINGHAM 18 with assayer's marks, barrel stamped "18" with assayer's marks. 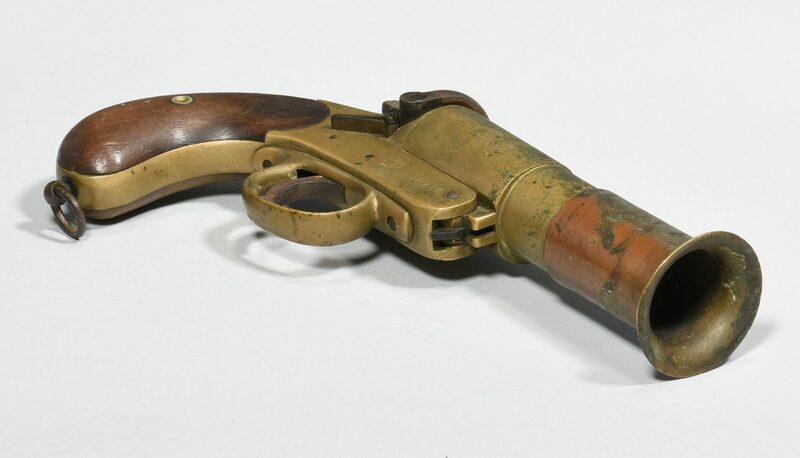 Barrel length – 5 3/4". Overall length – 9 1/2". circa 1918. 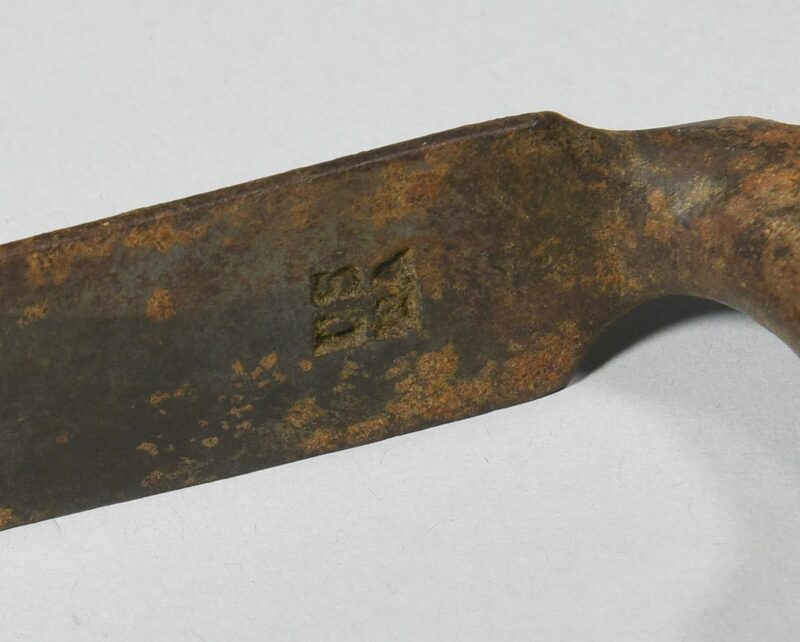 2nd item: Pre-Civil War era M1816 socket bayonet, stamped "US TA" on bottom of blade. 18 3/4" total length. 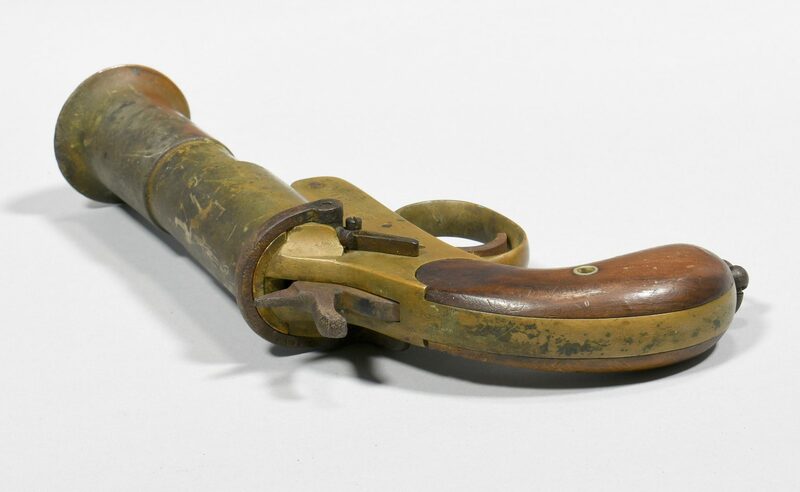 3rd item: WWII Boyt 45 US Army leather holster. 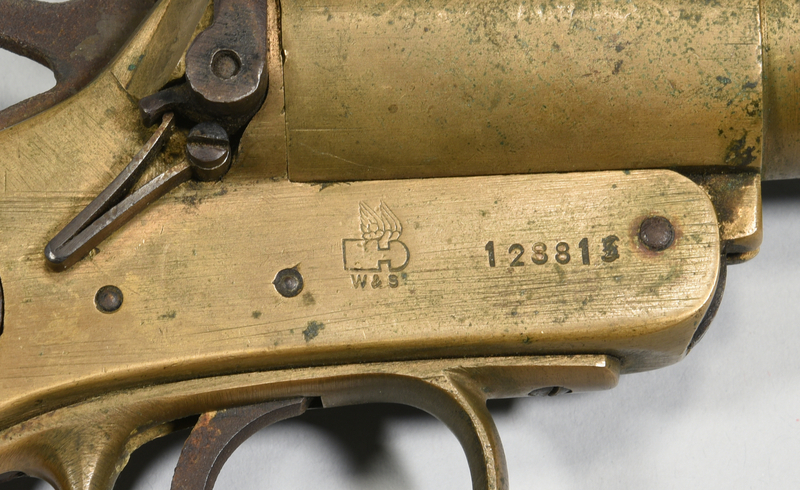 Stamped "US" on front flap, stamped "BOYT -45-" on back. 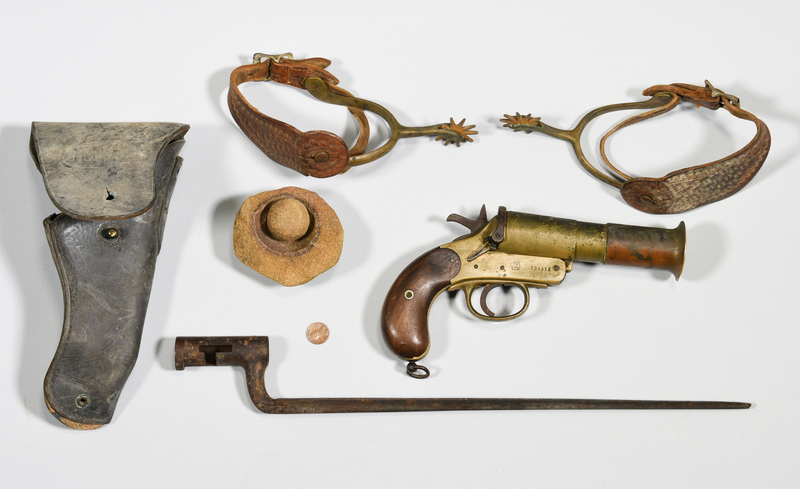 Approximately 11" L x 5 1/2" W. 4th and 5th items: Pair of Spanish or Mexican brass spurs with faint engraved designs with bird-like ends and 1 1/2" rowels and tooled leather straps. 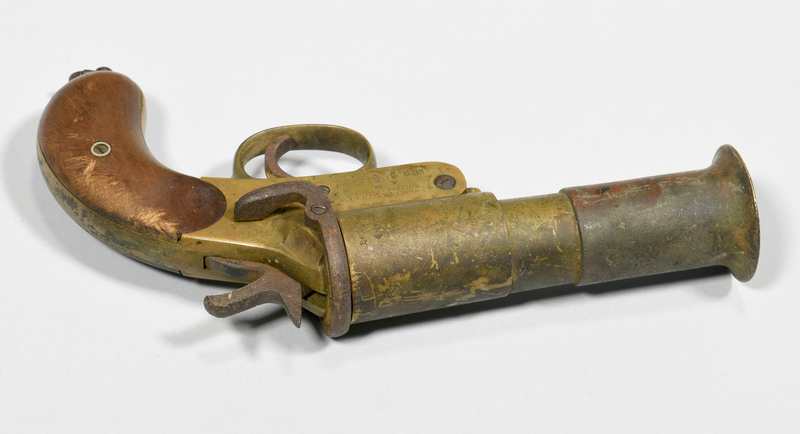 Spurs – 6" L x 4" W. Overall – 8 3/4" L. 3rd quarter 19th century. 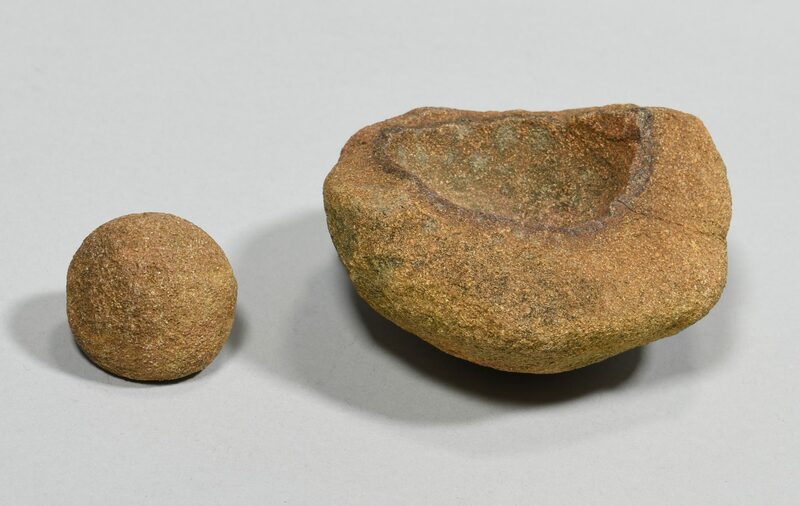 6th item: Stone mortar and pestle or military fragment, 2 1/4" H x 3 3/4" W. 19th century. CONDITION: 1st item: Mechanically good. Tarnish on brass. 2nd item: Rust on surface. Missing locking ring. 3rd item: Leather worn and stiff. 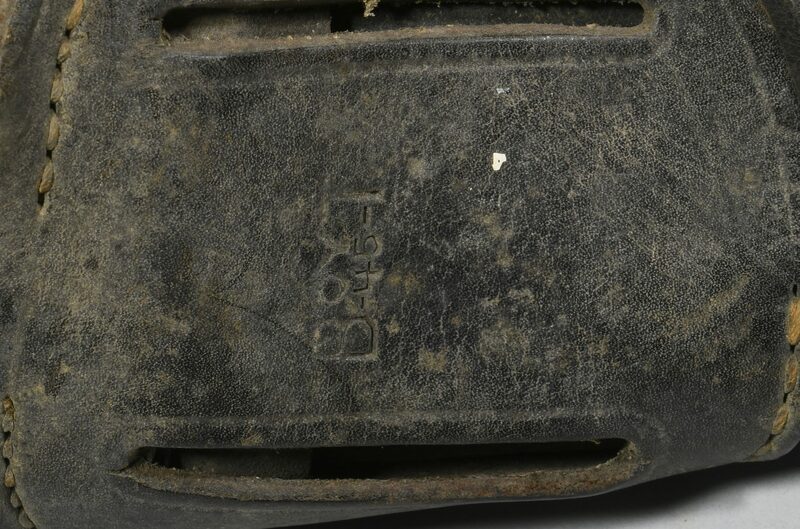 Dirt encrustion on surface and under flap. 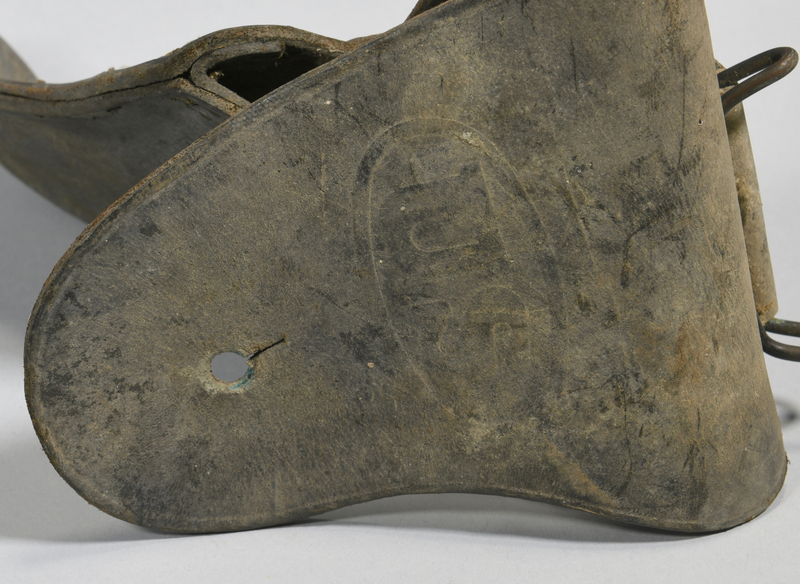 4th and 5th: Leather straps worn and stiff. Rust on surface of spurs. 6th item: 1 1/2" crack on surface.